A gem of a temple, located in a quiet suburb, invites worshippers to linger. No hurry here. 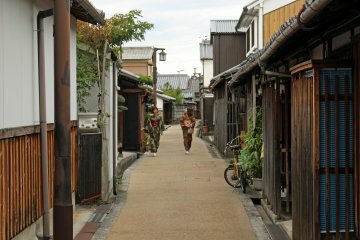 This is the perfect place to take your time and rest a bit during your visit to Kashihara! A bell tower greets visitors by the gate. Passing through, you walk towards the main temple hall. 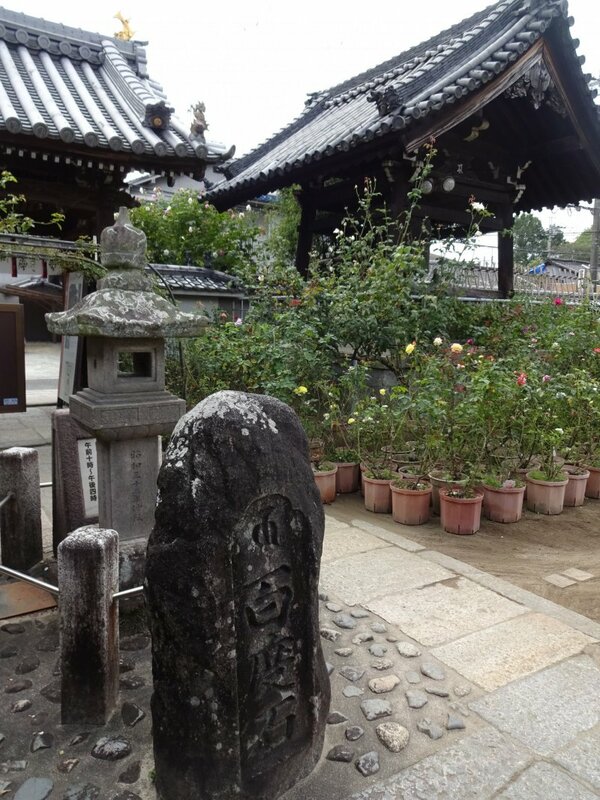 On either side of the path there are several smaller temples and shrines inviting your prayers. Walking around the main hall, you will enter the abbot’s quarters now also open to visitors. 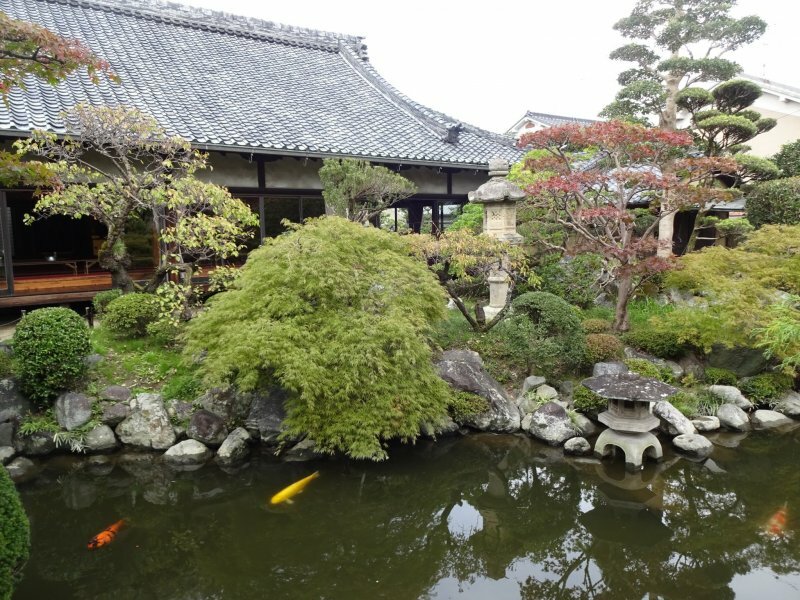 Enkutei, a small Japanese garden complete with pond and carp, attracts your eyes for a while before you step into the “Ofusa Tearoom”. 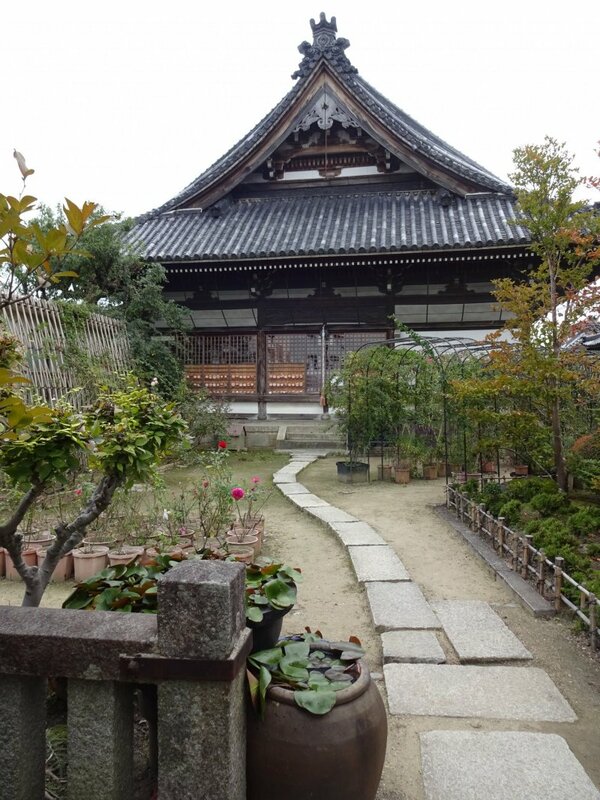 This is a traditional Japanese building with tatami flooring and veranda offering a beautiful open view of Enkutei. Different from other temples, this Kannon temple was not set up by a monk or an aristocrat but by the local people in this area. 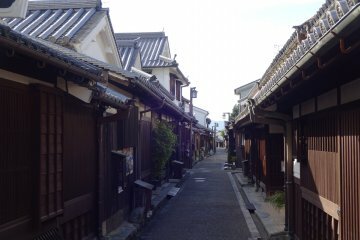 The temple and the area are named after a local girl, Ofusa, who lived here in Japan’s feudal period. 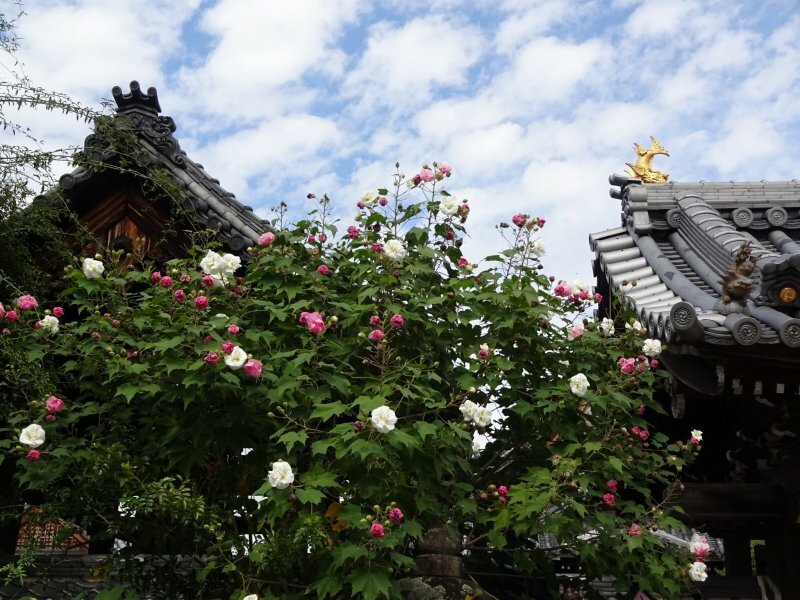 We don’t know the reason why she began worshipping Kannon-sama but the girl’s faith and devotion must have impressed the locals so much that they continued the worship tradition. 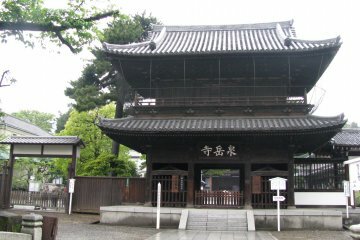 The main temple hall, built in the end of the 19th century, houses an image of Kannon Bosatsu, also called Kannon-sama, the Goddess of Mercy and Compassion. 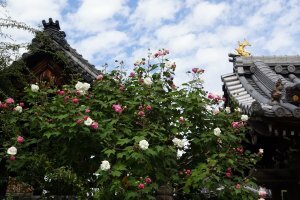 The Goddess of Mercy has 33 emanations and here at the Ofusa Kannon Temple we can see two of them: Juichimen Kannon (Eleven-faced Kannon), the main object of worship, and Senju Kannon (Thousand-armed Kannon). The former is facing south while the latter is facing north. 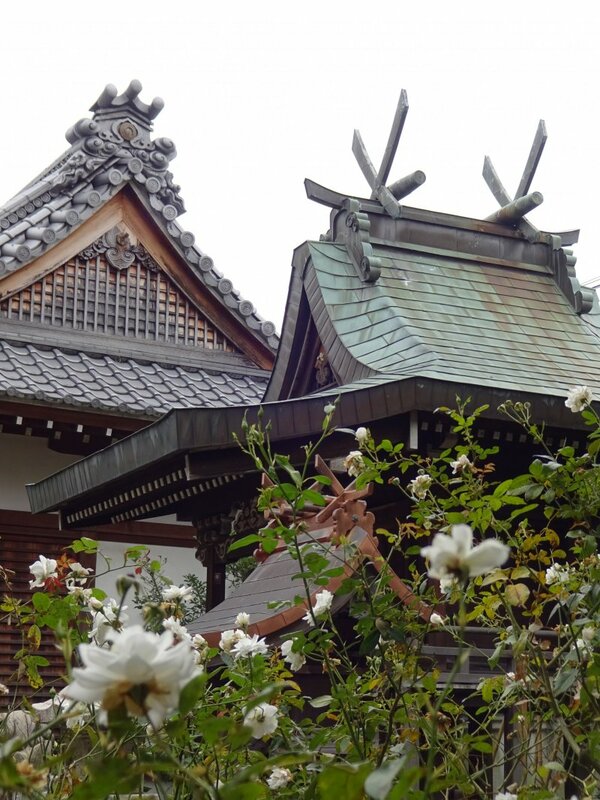 The Ofusa Kannon Temple is known as a temple for common people. 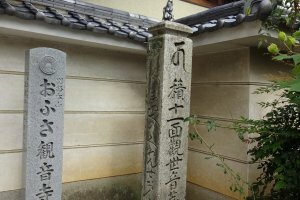 People from all walks of life have come here to seek help from varies deities which is why in the main hall and on the temple grounds we find a range of different Buddhist statues. 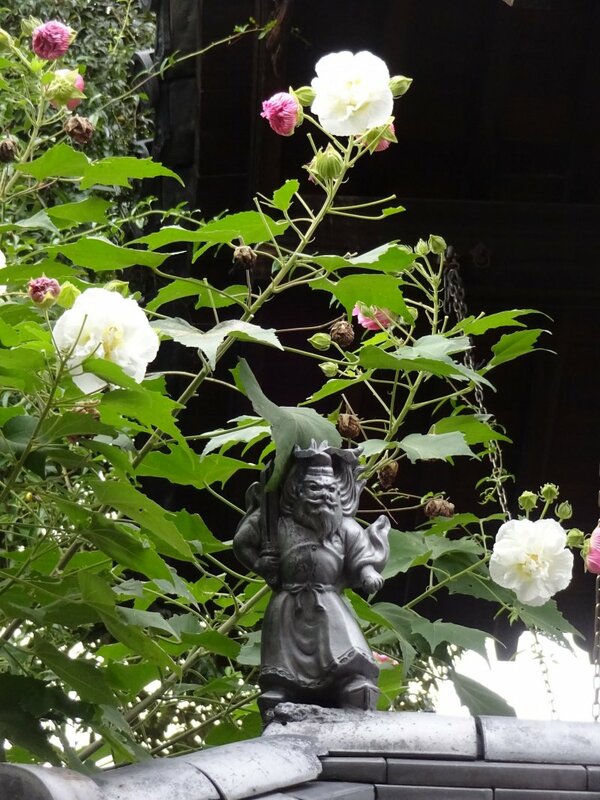 There is Amida Nyorai, an unusual sight at a Shingon temple. Amida, or the Buddha of Limitless Light, is the main object of worship in Pure Land Buddhism. 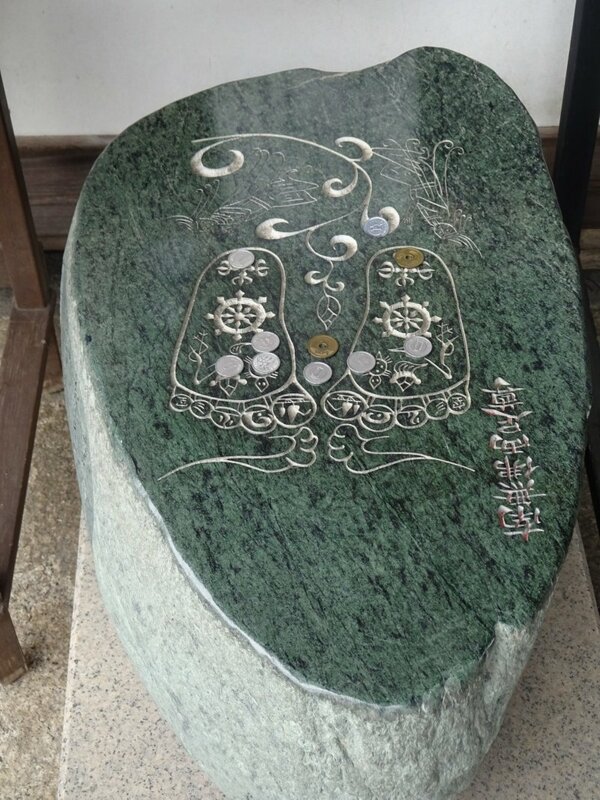 Then there is Jizo Bosatsu, a deity that protects children and travellers. We found Fudo Myoo, a Great Wisdom King and guardian of the Buddhist Law, and En no Gyoja, the legendary founder of Shugendo, an ancient tradition of mountain ascetic monks. 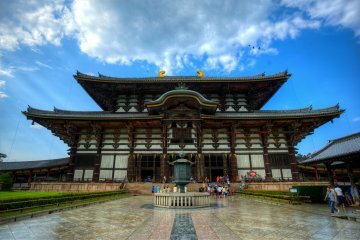 This temple belongs to the Shingon branch of Japanese Buddhism whose Headquarters is located on Mount Koya. 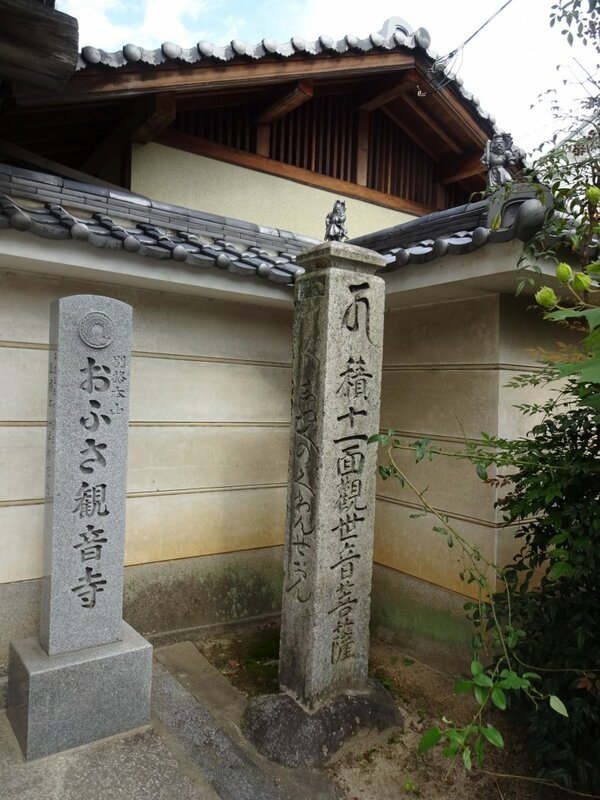 Hence, the founder of Shingon Buddhism, Buddhist Saint Kobo Daishi, is also venerated here. 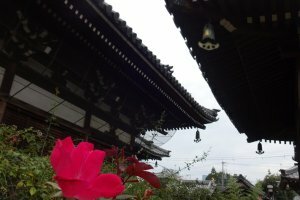 When they set up this temple here, the locals called a monk from Koyasan to help them establish their place of worship. You can pray quietly by yourself or ask the monks to pray for you. This service is available on request and it is available for a donation. Different people have different wishes but you will find that Kannon-sama listens to all of them and she sends you her love and compassion. Of course, a selection of protective charms is also available. Many older Japanese people conduct a pilgrimage to both the Ofusa Kannon temple and to the nearby Abe Monjuin temple. 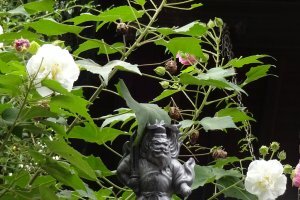 Kannon helps us with body issues while Monju, the Buddha of Wisdom, assists in matters of the mind. Interestingly, at these two temples you can now also pray for preventing senility and Alzheimer’s Disease. 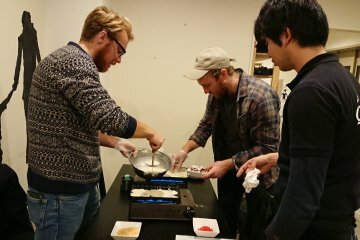 This is a new pilgrimage trend called “boke fuji”. 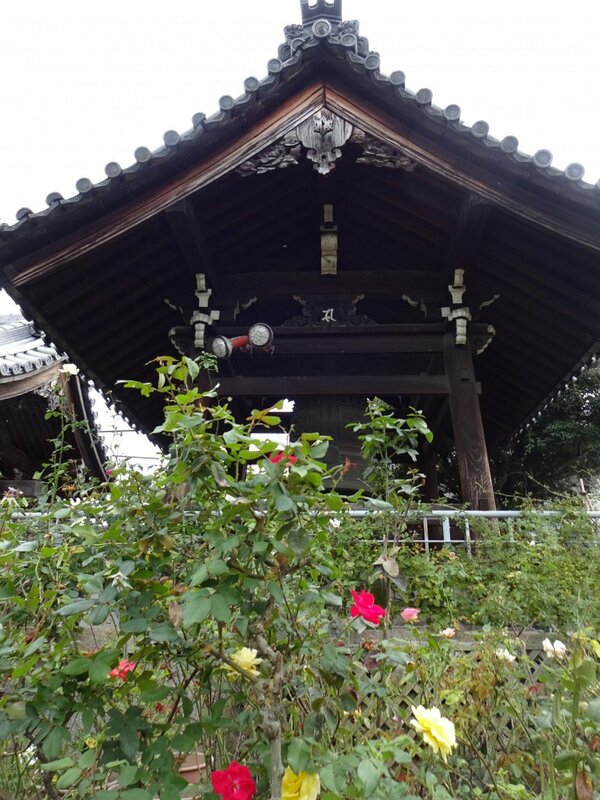 The main attraction of this temple nowadays, however, is its flower garden. 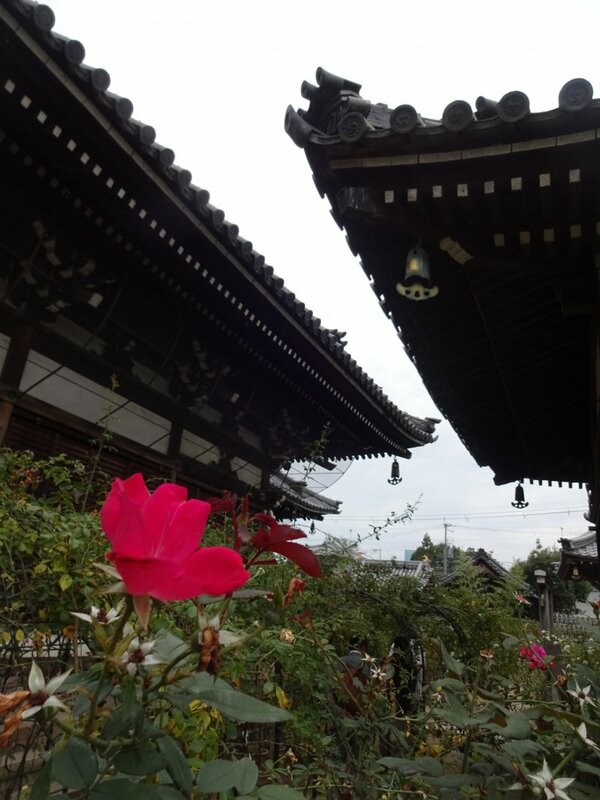 All around the temple grounds many different types of flowers are blooming; there are flowers for each season. The highlight clearly is the Queen of Flowers, the rose. In spring and autumn thousands of colourful roses charm visitors with their eternal beauty and subtle scent. There are actually 2,300 different varieties of roses and their number has been growing steadily over the last 25 years. This is why the temple was given the name “flower mandala temple”. 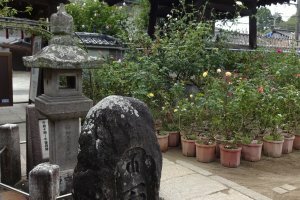 The temple’s Abbot takes pride in raising these roses lovingly for visitors to enjoy. Looking at the beautiful roses, you cannot help but forget your daily worries for a moment and find peace and relaxation. 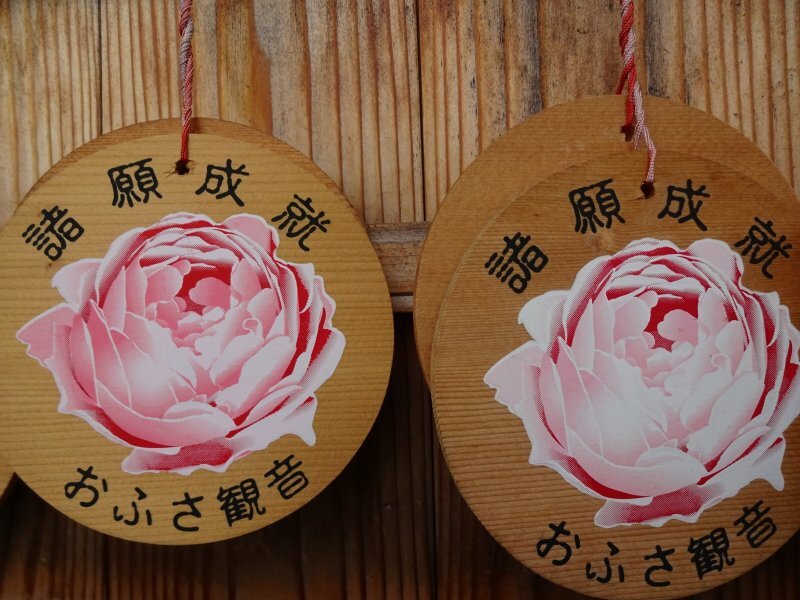 What’s more, roses are said to be able to guard against evil and purify the environment, according to ancient folk belief. Rose water in particular is a potent spiritual tool to clear your body and your surroundings of any bad vibes. Yet, another reason to linger a bit longer at this temple! In Buddhism the mandala is a spiritual representation of the universe. Usually drawn on the ground or on paper, it is a tool for visualising the cosmic order. At this temple the flower mandala seems like a 3D version of the Buddhist paradise when all roses are in full bloom. This happens from mid-May to the end of June and from mid-October to the end of November. 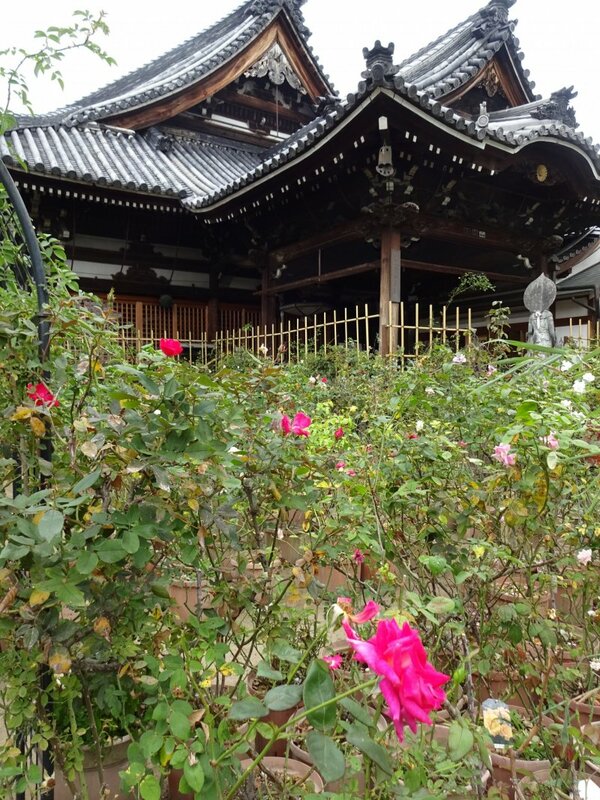 These are the seasons for the temple’s rose festivals but some roses will also bloom during other times of the year. 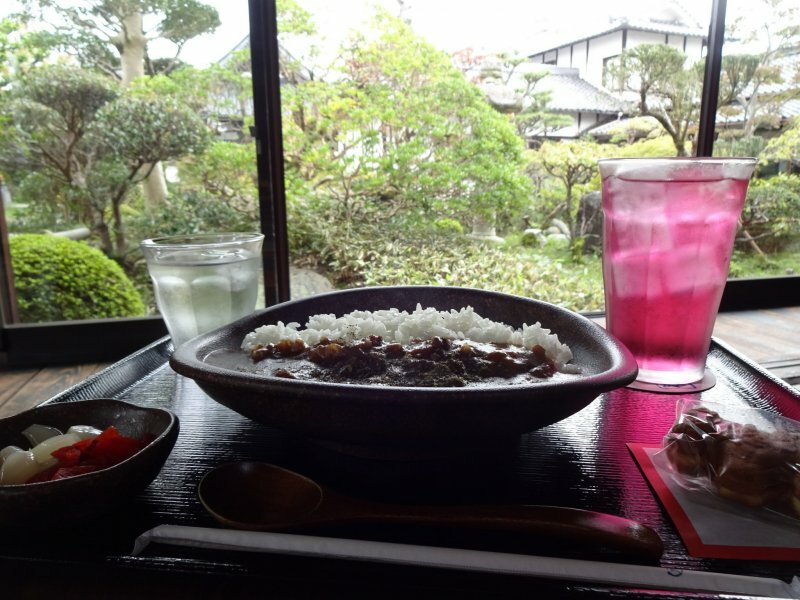 Lunch at the Ofusa Tearoom is definite a highlight of any visit at this temple. 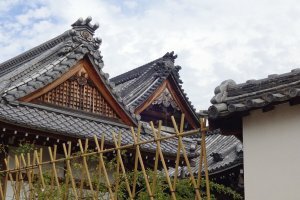 You can sit down and relax, enjoy the view of Enkutei and order a drink and even food here. The temple’s home-made herb curry is very tasty and a sip of the pink-coloured rose tea will refresh you for sure. 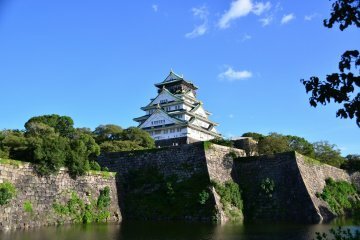 There are also coffee, green tea, udon noodles and shaved ice in summer. The Ofusa Tearoom is open every day from 10am to 4pm. If you are lucky enough, you might also catch a contemporary art exhibition at this temple. 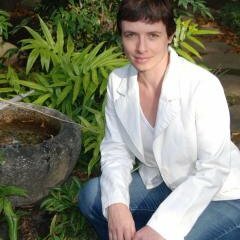 The abbot is a fervent supporter of young artists and hosts exhibitions at the temple to showcase their art on a regular basis. In summer every year (July 1-August 31) another attraction awaits you here: wind chimes from all around Japan. There are about 2,500 wind chimes hung around the temple compound. Their soft ring in the hot summer air cools your body and soothes your mind. Sit down after your prayer and enjoy the melody of thousands of wind chimes ringing at the same time. This is quite an otherworldly symphony; is it the sound of paradise? 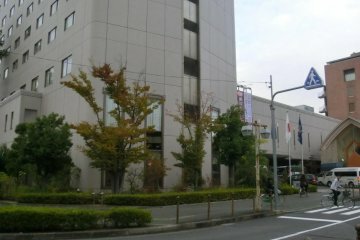 The nearest station is Kintetsu Yamato-Yagi from where it is a 20-30 minutes walk. 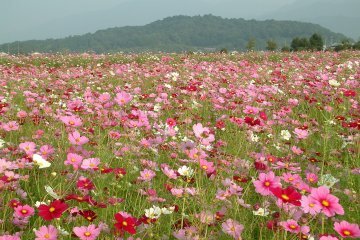 Alternatively take a taxi or rent a bicycle from a rental shop at Yamato-Yagi Station.